I had fully planned on this summer being a foodie summer. I had every intention of checking out the Taste of Chicago immediately following my Jamaica vacation and then travel home for the Taste of Buffalo two weeks after that. Budget derailed my Chicago trip and highway robbery prevented me from going home to Buffalo. Can you believe Mega bus wanted $80 for me to travel to Buffalo round trip? Where did those guys get their nerve, knowing they offer horrible customer service?! A few weeks ago, a good friend of mine from Arizona came to town for a business trip. We spent some time together. I took her out to a few drinking spots and restaurants. 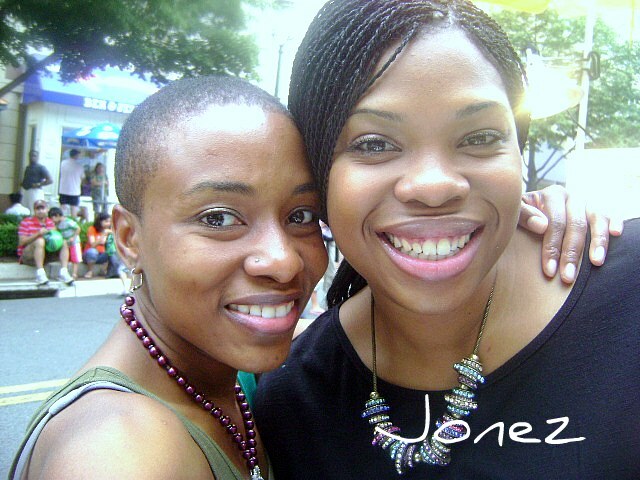 Luckily, she was in town for the Taste of Reston event in VA and I was able to tag her along. I was thrilled to have a friend tag along with me during my weekend excursions! 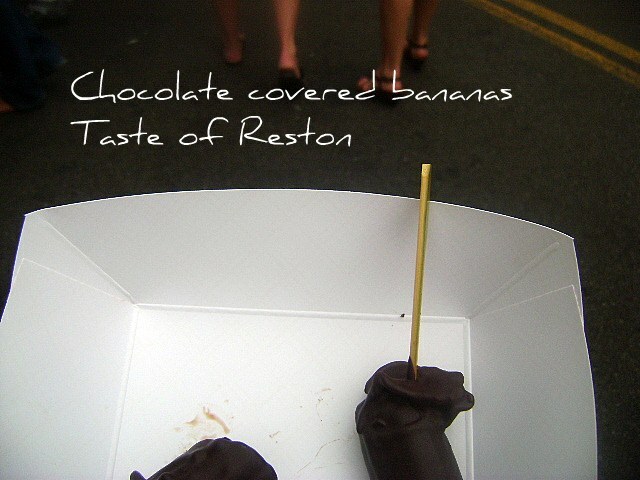 The Taste of Reston pretty much operates the same way the other Tastes I've experienced. You buy a book of tickets which you use towards food purchases. 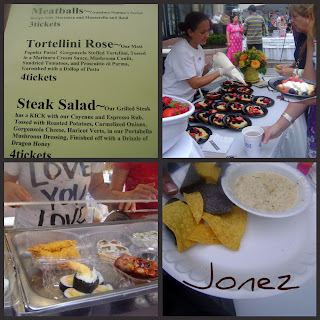 There was about 20-30 vendors and the most expensive item was the alcoholic beverages at 6 tickets. Most food items averaged 2-4 tickets each. I decided to break my vegetarianism for one day and indulge on some of the meat items offered. 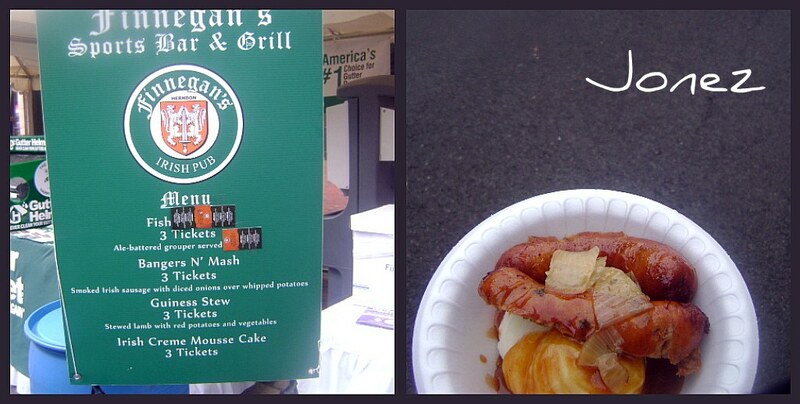 A sports bar offered a plate of Bangers 'n Mash, which looked good based on the description. It was not great. The potatoes were on the thin side and the meat texture was gross. I threw it out after 3 bites. The award for the weirdest and by weirdest, I mean the dish that got the screw face from my friend would go to the Hyatt and their offering of chocolate covered bananas. It wasn't bad. I got two for two tickets but only ate one. One was all I could handle. Overall, we had a great time. We only splurged on one alcoholic drink. If we had time, we would have just stopped by a store and purchased a bottle of wine to share at the event instead of wasting 6 drink tickets that could go towards food. I was pretty surprised how small the event was. Reston is a pretty small town I guess. Despite it's size, it was fairly crowded and the weather was great! There was even a live band playing on the hour. The next food festival I'm heading to (Lord willing) is the Atlantic City Food and Wine Festival, sponsored by Food Network. I just found out about it today so I'm trying to see if I can scramble a last minute road trip. I probably can't afford the last minute hotel but luckily I have an Aunt & close friend that live in the area. We'll see if I can make this happen. I just want to go for the wine.... and The Neelys.